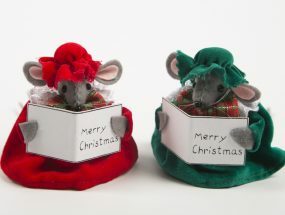 Every household should have one of these adorable Christmas Angel Mouse tree decorations watching over them during the festive season. 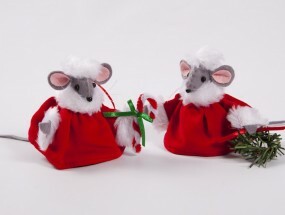 She is so special in her little red velvet dress and makes a lovely addition to our collection of Christmas Mice. 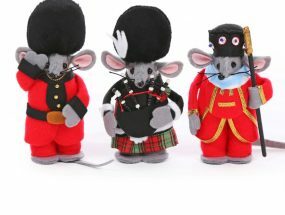 Start collecting them and soon, like in our home, you will have a small white Christmas tree full of little red velvet mice! 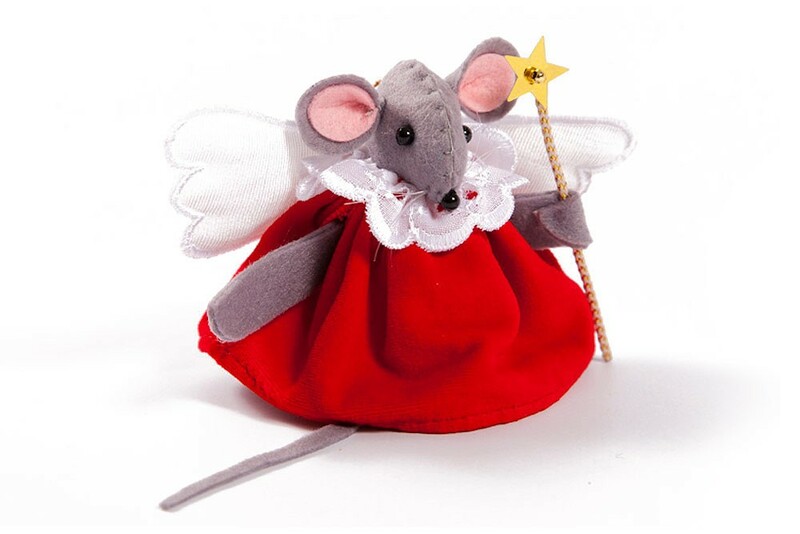 Our little Christmas Angel Mouse tree decoration is handmade in grey felt with a red velveteen dress and white wings and gold wand. 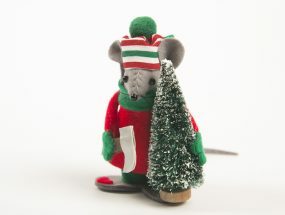 She stands 8cm tall and comes with a hanging thread so can either be hung on the tree or sit on a shelf or table.